With so many Americans waiting until April 17 (Tax Day) to file and pay their taxes... so much so that the IRS website has even crashed, it is good to know that there is a segment of the economy that wants to put something back into your pocket as Uncle Sam takes things out. 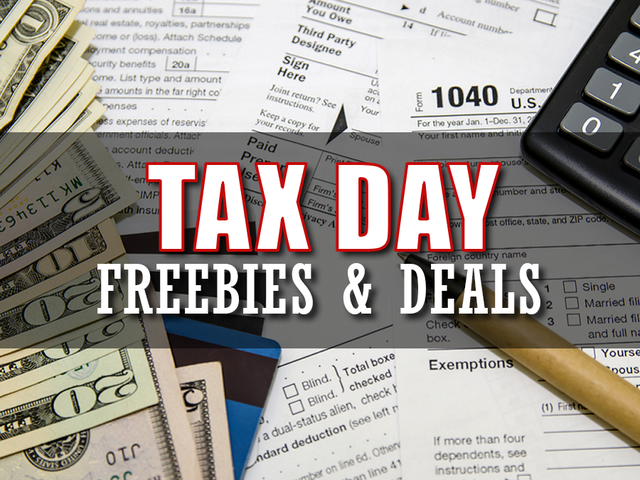 Here is a list of just a few of the businesses that are offering deals or outright free stuff here on Tax Day 2018. As it does every year, Great American Cookies is offering a free Cookies & Cream Cookie, which combines a vanilla cookie with premium chocolate sandwich cookie pieces and white chocolate chips, to all customers on Tuesday, April 17. 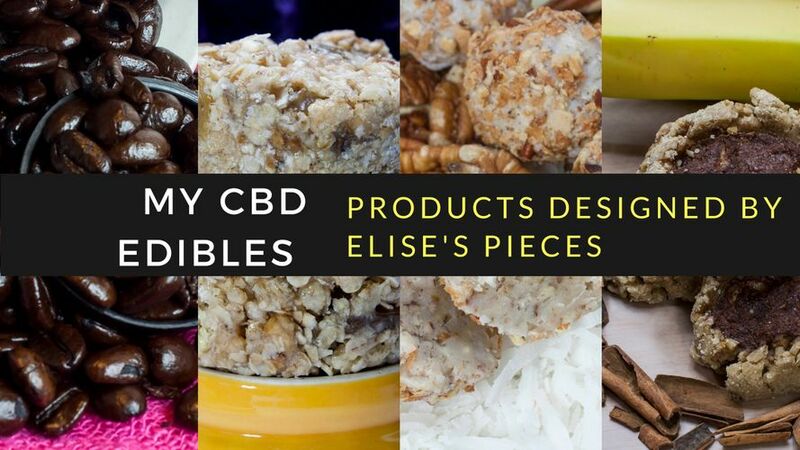 No purchase is necessary for the Tax Day 2018 freebie. The weather might be a bit chilly in some areas, but Kona Ice will offer a free shaved iceto anyone who wants one on April 17. Just tweet your zip code to @konaice and the company will let you know where to find the closest truck to you, along with and where and when they will be serving the shaved ice up. Pick up a free original turkey or veggie dog at Hot Dog on a Stick on Tax Day 2018. No purchase necessary and you don’t even have to prove you filed your taxes. If the tax bill was painful this year, Chili’s is offering a $5 Cuervo Blue Margarita to help wash away the pain on Tuesday, April 17. If the tax bill was especially painful this year, Applebee’s is in the midst of a month-long promotion where its house margarita is just $1. Buy one large cheese pizza, get one large cheese pizza free. Offer is good Tuesday through Thursday. The price of the all-you-can-eat buffett drops to $4.17 today only. You’ll need this coupon to get the deal. 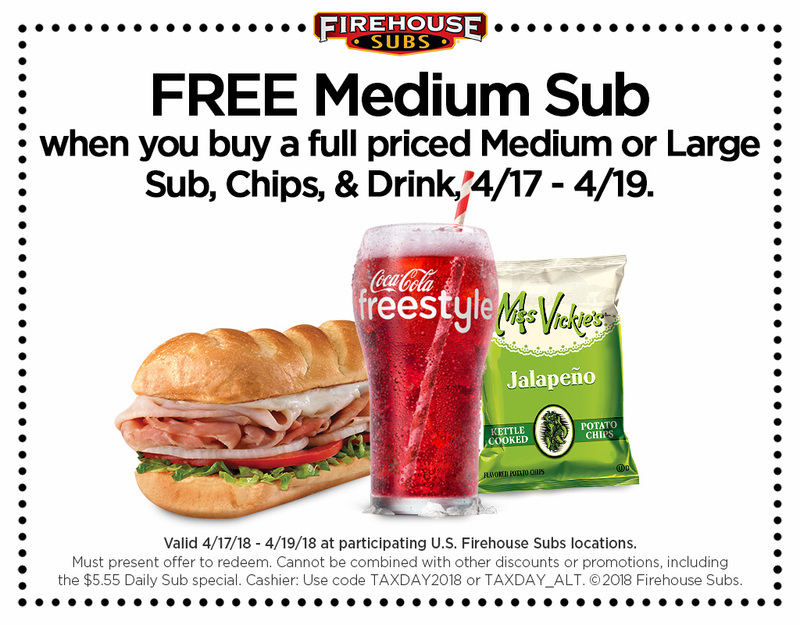 Buy one full-priced combination of a sub, chips, and drink and get a second medium sub for free with this coupon on Tax Day 2018. Participating Boston Market restaurants nationwide will offer a $10.40 Tax Day Special on April 17, which includes a half chicken individual meal with two sides, cornbread, and a regular fountain drink. After you file your 1040 tax form, head to Quiznos for a 10.40% deduction off any purchase on April 17. You’ll need to be a Toasty Points loyalty app member, but if you join specifically to take advantage of this Tax Day deal, you’ll also get a free 4-inch sub once you download the app. Buy a bag of chips and a medium drink and Schlotzsky’s will throw in the sandwich for free. Tax Day just got that much more appetizing because Schlotzsky’s is offering a free small original sandwich with the purchase of chips and a medium drink. 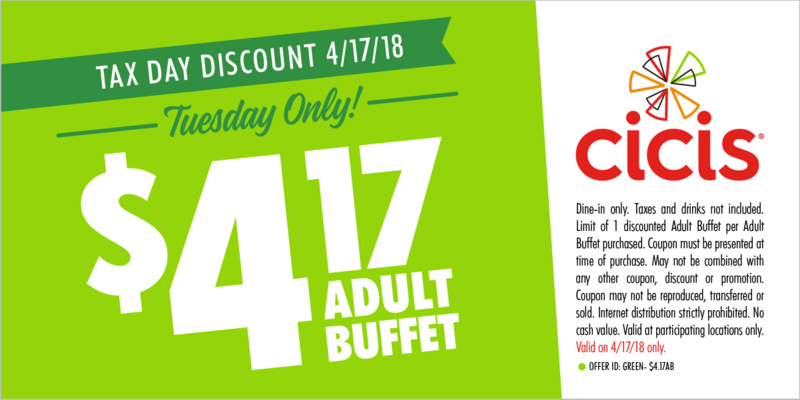 This offer is only available on Tuesday, April 17 and is sure to delight the taste buds of many. Another pun on the most famous tax form works in your favor as Grimaldi’s Pizzerias is offering a traditional cheese pizza for only $10.40. Beyond launching their Tax Day IPA (8.0% ABV) today, Blue Point is offering free pints of the new beer to any CPA who visits the brewery’s tasting room between April 18 through April 20. And if you can prove you paid taxes this year, Blue Point will give you a free four-pack of Tax Day IPA when you buy a four-pack. Grab a Bruegger’s famous Big Bagel Bundle — 13 bagels and 2 tubs of cream cheese — for just $10.40 from the chain through on April 17 (a $3.50 savings). You’ll need to first download this coupon. Every Tax Day, Sonny’s offers its “IRS” – Irresistible Rib Special. You’ll get half-price Sweet & Smokey or House Dry-Rubbed Rib Dinners (with two sidekicks and homemade bread). Sorry, no baby-backs. It’s not just for tax day, but if you’ve got documents you need to ensure are destroyed, whether it’s old tax forms or something more recent, the office supply stores are offering up to 5 pounds of free document shredding with this coupon. And the good news is the Office Depot coupon isn’t just good on Tax Day — you can use it through Apr. 28 to take advantage of the offer. The WayfarerOn the road for Tax Day 2018? Manhattan’s The Wayfarer is offering half off of all alcoholic beverages today from 7:00 a.m. – 11:00 p.m. If it’s more convenient to drown your sorrows at the W New York Downtown, you can select from a special Tax Week cocktail menu. Among the offerings are Uncle Sam Took All My $$ ($4 beers); Wait, It’s Tax Day – I Need an Extension ($10 cocktails); and Uncle Sam Owes Me – Let it Rain (discounted bottle service). On April 17, the first 17 people who call to book requesting the “Tax Day rate” will get a one-night stay for just $4.17. You’ll have to visit in September (not Labor Day weekend). And you’ll have to call 954.414.5131 after 4:17 p.m. E.T. At Sonic, the annual tradition is half off cheeseburgers all day on Tax Day. Limit five per customer at participating locations. P.F. Chang's has a promo code (TAXDAY) that you can use to get 5 percent off takeout orders made online or by phone on Monday and Tuesday. Captain D's has a "1040 Deal" Monday and Tuesday that includes six pieces of fish, a family side and six hush puppies for $10.40. White Castle is offering a 15 percent discount on any "in-Castle" purchases on Tuesday. Firehouse Subs has a coupon on Facebook, which you can use Tuesday through Thursday to get a free medium sub when you buy a full-priced medium or large sub, chips and a drink.